For our "spring break" we loaded up the kids and traveled 12 hours, yes 12 hours, to Indianapolis. (Thank Gawd for DVD players and snack mix.) BigDaddy had some work to do so we decided to make it a family trip and visit friends, celebrate BigBoy's birthday a bit early and pretend to be on vacation. We moved from Indy last summer, so BB was eager to get back, see his friends and be back in his 'hood. We had a great time, really we did, but came home beat. A 5 year old bday party, followed by a fender bender (thankfully only that), followed by a cracked windshield, and so many hours in the mama-mobile was a bit taxing. But seeing great friends, having a girls night out and getting a pedi was fantastic! I hadn't had a pedicure since we moved last summer. I soo miss them. It was my special treat that my girlfriend and I would do together. Pedi dates at our little Vietnamese nail salon around the corner. The place just cracks me up. The owner? manager? receptionist? always calls me sweetie or honey when I call to make an appointment. They always have something random on the tv. Usually ABBA videos or The Travel Channel (International Version), but this time is was The Punisher. Totally violent, totally bloody and not at all relaxing. Perfect! They have one ghetto massage chair (the last one). There is always some random lady with a weird request or question. We always have the only other guys that work there. J and A. Always. kinda, and about 3/4 the way to growing totally back again. Not normal. Not smooth. Still a bit ugly. My nail guy J. named it Stubby. I thought it was funny that I waited until going back to Indy to get a pedi. I love them. But to show Stubby to a stranger seemed, weird. hard. uncomfortable. But with J. all I had to do was say "Okay, heads up. The Big Toenail is all jacked up!" And even when we heard an "OH! wow." All I could do was just laugh. It felt good going back. Back to close friends. Back to knowing where I was going at all times. A place I could show my ugliness and laugh. Hang out with my mom-friends and commiserate, wipe cracker crumbs off the car seat, and order another round of cheese fondue with dessert. Hang out with my non-mom friend and get a pedicure for an icky, stubby toenail. Then it dawned on me. They were good friends because they saw my uglies. They already saw my mommy meltdowns. The frustrations with BigDaddy et all. The days I wanted to hide because my rosacea was on fire. The dust in my house (and the piles of laundry). 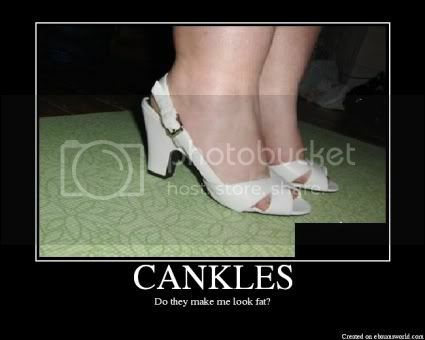 The cankles when I was preggo. The millions of crumbs in my van. Me in a bathing suit running after a 3 year old. That's how they became my good friends. Through the Uglies. With the Uglies. In the Uglies. We weren't friends until we let our guards down a little. Or in my case, forced to reach out, ask for help. Now that Spring is starting to show up, I think I'll let Stubby get all dressed up in red. Show off my Uglies a little and see what happens. Hey Lisa..what I remember most about you is your Amazing Legs! Heal up that funky toe and enjoy them..I guess you don't get the free pedicure walking on the beach any more but..